The Virginia Range herd in northwestern Nevada is one of the most historic horse herds in Nevada, dating back to the late 19th Century when miners, ranchers and even the military turned horses out to fend for themselves when they weren't actively being used. Historic documents describe two men who purchased 500 "Spanish mustangs" in San Diego that they drove north to a location later known as "Wild Horse Canyon" near the California-Nevada border. Many of these hardy horses were interbred with domestic stock to provide the reliable mounts and work horses that the early pioneers and miners in Nevada so depended upon. 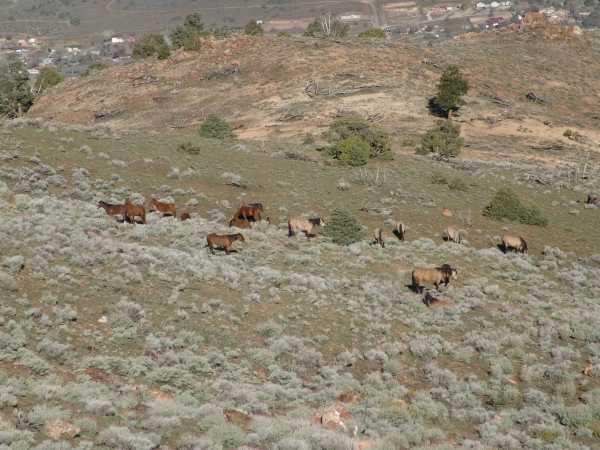 This herd is also the most accessible for tourists to northern Nevada who wish to see wild horses. Many horses range within a short drive of Reno and Virginia City and can be viewed from a number of side roads that are passable year-round. The Virginia Range horses are the horses that prompted Velma "Wild Horse Annie" Johnston to start her campaign to protect wild free-roaming horses. Ironically the herd she started out trying so hard to protect fell through the cracks and is under the authority of a state agency that doesn't seem to care either about the horses or the laws that describe how they are to be managed. Some of the horse advocacy groups are working on this problem and are addressing two issues. Keeping Virginia Range horses out of the hands of kill buyers. Our horses belong on the land, not in someone's frying pan. Legal efforts focused on compelling the department to follow the law. The Nevada Attorney General seldom goes after anyone in the state government's "executive circle." A number of legal experts have consistently told us that the only way to gain the department's compliance with the law is to have a lawyer bring the issue to a judge. Given recent developments, such an approach seems to be our only viable alternative to having to spend a lot more money on acquiring and caring for horses that the department hauls off the range. More recently the department has engaged in an effort to intimidate its critics, charging that advocates have engaged in such things as horse abandonment and other animal abuse. The list of "suspects" reads like a Who's Who of outspoken animal advocates. Advocates have had to hire attorneys to clear their names and to get to the bottom of who is beind all of this. The advocates, who spend their time and own money helping horses, are now having to spend money on attorneys to deal with the Nevada Department of Agriculture's malicious charges and to look into what may possibly be corruption within the department. You can help. You can donate to the Fund for Legal Expenses. All funds received will be used to try to protect the historic Virginia Range horses and the advocates who fight for them. The continued existence of the Virginia Range herd is a product of the legacy and unfailing efforts of Velma Johnston. We owe it to her to protect her legacy. The Virginia Range horses are not protected by any federal statute. 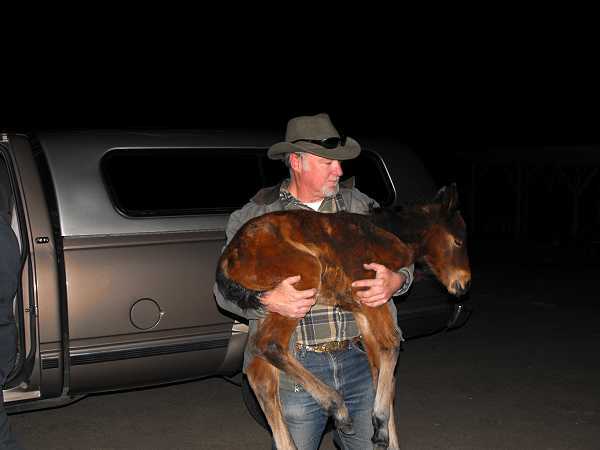 The involved wild horse groups are just about all that stands between them and the kill buyers. Funds are always needed to protect these horses and to find homes and sanctuary opportunities for those that have been taken off the range. Every contribution counts. The groups are all staffed by volunteers so the money donated actually goes to pay the expenses for these horses. Please help! Here are actions that you can take to protect the Virginia Range horses. Please remember that these horses fall under the jurisdiction of the Nevada Department of Agriculture and Governor Brian Sandoval. Here is contact information. You are encouraged to express your opinion in this matter. If you call, try to speak with someone in authority. Let's fix this business before more horses go to the kill buyers and we experience another tourism boycott!